Jayne's Horsemanship with Heart Program enables you to learn to work with your horse in a relaxed and enjoyable partnership. Float Loading can be one of the most difficult things you do with your horse - and the most stressful for you both! In this DVD, Jayne with show you that travelling with your horse can be an event you look forward to with confidence. Float Loading can be one of the most difficult things you do with your horse - and the most stressful for you both! In this DVD, Jayne wiill show you that travelling with your horse can be an event you look forward to with confidence. 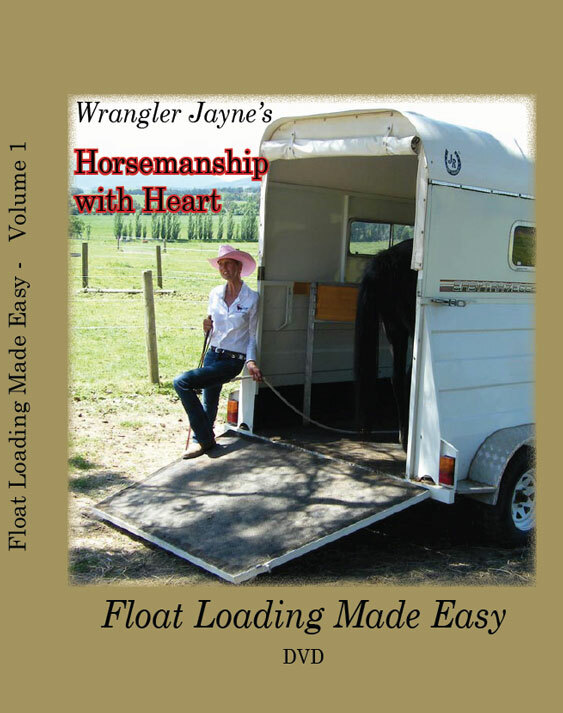 Jayne shows you with clear instruction how you can further develop your skills by using clear communication, patience and the principles of Horsemanshp with Heart; Trust, Confidence and Respect. She demonstrates with Sharif how you can help your horse feel safter, calmer and willing, using a step-by-step method that is always gentle and considerate of your horse. This is the natural continuation of the Horsemanship with Heart Essentials DVD program. Copyright 2008 - unauthorised duplication prohibited. Powered by ShopFactory to sell P58 online. All-in one eCommerce and online shopping cart software.